It has been far too long since I read a historical romantic comedy such as this refreshingly light read from Jen Turano, the third book in her A Class of Their Own series. Oh, the hijinks and lessons learned in and amongst the romance of Lucetta and Bram. Two formidably quirky characters who unwittingly met their match in one another which only set the sparks of attraction flying all the more. In and amidst the truly memorable secondary characters such as Lucetta's body guard and Bram's grandmother. There is a sort of whimsy to Turano's sharp wit that only colors every word with a vibrancy that causes the story as a whole to pop off the page and leave a happy, bright impression. 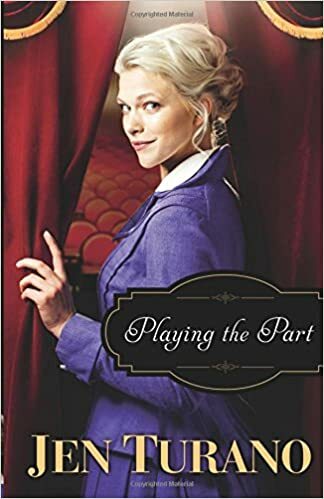 If you need an escape back in time to the Victorian era with matchmaking grandmothers, a motley crew of a mansion staff and a hero that at first vaguely reminded me of Phantom of the Opera--look no further than Playing the Part. I guarantee you will laugh and smile through out this fantastic novel. Lucetta Plum is an actress on the rise in New York City, but must abandon her starring role when a fan's interest turns threatening. Lucetta's widowed friend, Abigail Hart, seizes the opportunity to meddle in Lucetta's life and promptly whisks her away to safety at her eligible grandson's estate. At first glance, Bram Haverstein appears to be a gentleman of means--albeit an eccentric one--but a mysterious career and a secret fascination with a certain actress mean there's much more to him than society knows. While Lucetta has no interest in Abigail's matchmaking machinations, she can't ignore the strange things going on in Bram's house and the secrets he hides. As the hijinks and hilarity that Bram, Lucetta, and their friends are swept into take a more dangerous turn, can they accept who they are behind the parts they play in time to save the day? Jen Turano is the best-selling, critically acclaimed author of The Ladies of Distinction series, and A Class of Their Own series, published through Bethany House Publishers. Her novel, After a Fashion, was chosen as a top pick from Romantic Times, as well as being named a top ten romance of 2015 from Booklist. Her book, A Most Peculiar Circumstance, was chosen as a top ten romance by Booklist in 2013. Her seventh book, Playing the Part, will release in the spring of 2016, followed by a new four-book series, The Wallflowers. 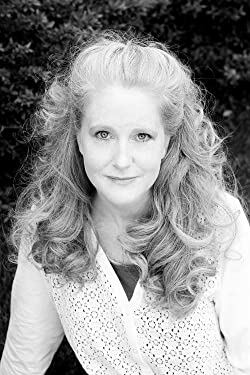 When she's not writing, Jen spends her time outside of Denver with her husband and neurotic Cattle Dog, enjoying life as an empty-nester because her son recently abandoned her for the college life. She can be found on Facebook at or visit her on the web at www.jenturano.com. She is represented by Susan Brower of the Natasha Kern Literary Agency. Disclaimer: I received a free copy of this book from Litfuse Publicity Group in exchange for my honest review.